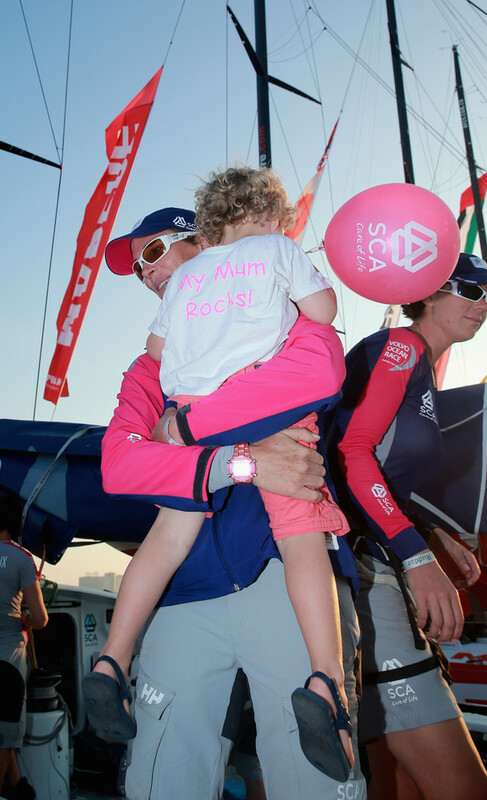 Team SCA led virtually from start to finish to romp to a convincing victory in the Volvo Ocean Race In-Port Race in Abu Dhabi on Friday after a lack of wind nearly forced a postponement. The third race in the series began 1hr 40mins behind schedule – another 20 minutes and the action would have been scrapped for the day – because of the missing breeze. 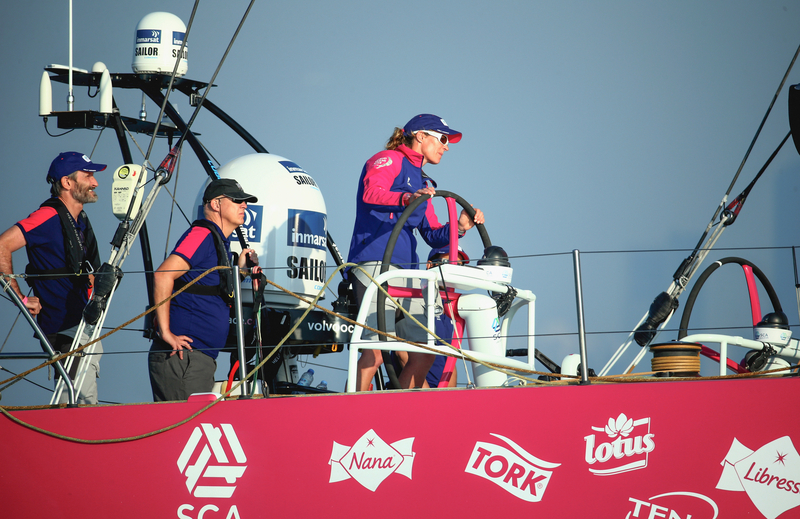 Finally, at 1540 local time/1140 UTC, race officials judged that the breeze had picked up enough for a viable race and the women of Team SCA never looked back. They took a starboard course early on and by the first mark in the 3.2-nautical mile (nm), two-lap race, had established a 50-metre lead and they continued to build on it from then on with a display of consummate in-port sailing. 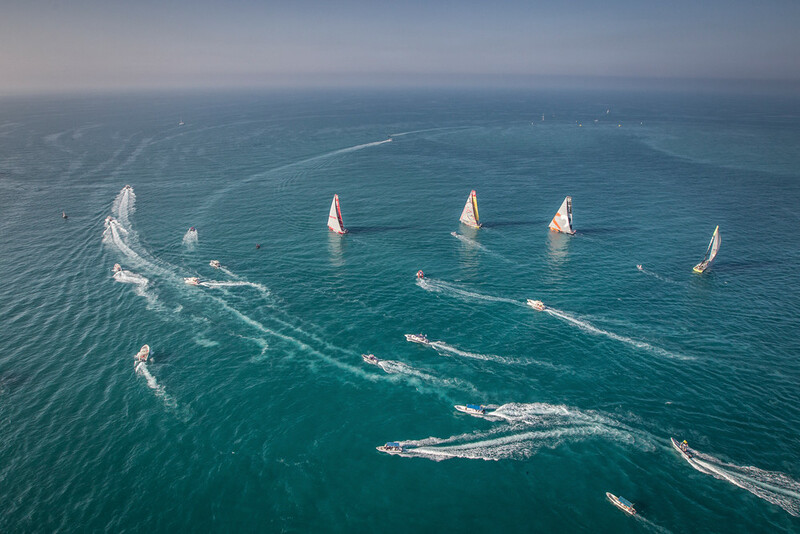 In the end, it almost looked easy as the Swedish-backed boat crossed the line, 1min 28secs ahead of second-placed Team Brunel (Bouwe Bekking/NED). 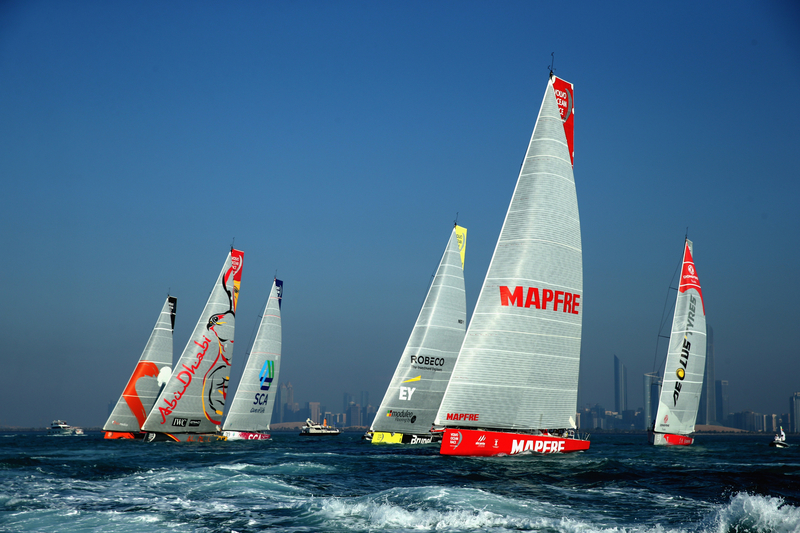 Abu Dhabi Ocean Racing, who won the corresponding race here three years ago, again finished on the podium in third, 43 seconds further behind. 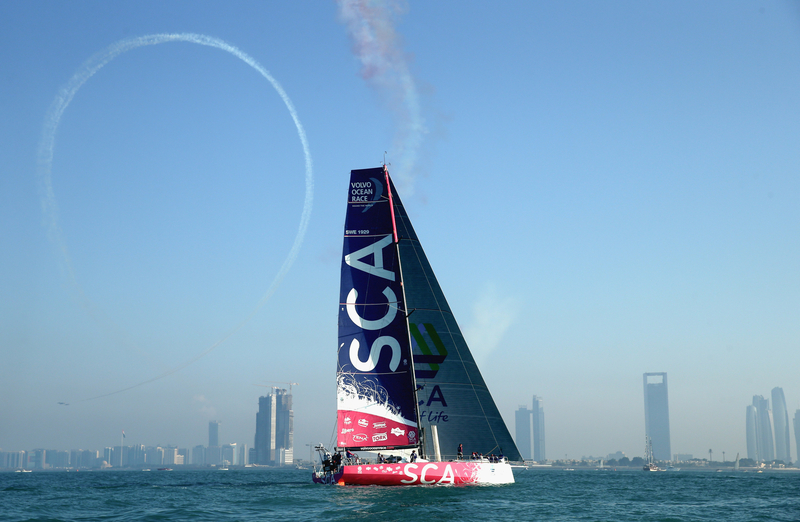 Ian Walker’s crew lead the overall standings by two points from Team Brunel with Team SCA now in third. 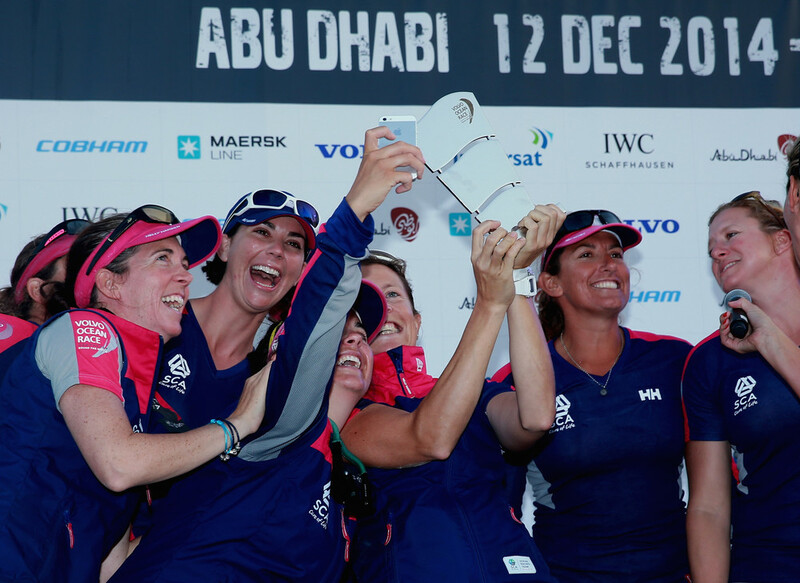 The win is doubly sweet for the first women’s crew to contest the Volvo Ocean Race in 12 years. Skipper Sam Davies (GBR) and her crew had shown with their third place in the Cape Town In-Port Race that they have the pace to compete with their male rivals, but two sixth places in the opening two offshore legs had raised questions in some quarters about their competitiveness. They certainly answered those in the best possible way with Davies making way for Carolijn Brouwer (NED) on the helm to steer them to this triumph in the trickiest of conditions. "There's no 'woman of the match', it's the 'women'. We're a team, and we did it together.We're really happy, and it's a great way to boost the whole crew's morale before we leave tomorrow for Sanya," smiled Davies, back on the dock. Indeed, this was certainly no one-woman victory, and all 11 crew proved what great strength-in-depth the team has even with their powerful bowman Sophie Ciszek (AUS) missing through a back injury, which needed surgery over Christmas.As her crew-mates crossed the line, nobody was more excited than the temporarily sidelined Australian. "Yeah, it was frustrating because I wasn't out on the boat but, wow, it was the best thing ever because they won the race. It can only get better, and we're one step closer. They did really well.There's been some big changes. We had a big debrief (after finishing sixth in Leg 2) but it's really good to turn it around and win the in-port," said Ciszek, who watched the race from the deck of the SCA pavilion in the race village.